This is the total mileage of the state park, and one could easily do more than this with the loop configurations, but there are also some very short excursions if you're pressed for time. The terrain varies from easy level rides to sections steep and rocky enough you may need to carry your bike around obstacles. Summer can be sweltering, with the thick forest cutting out most breezes. Winter adventures can be problematic as the roads to the park can become icy under the right conditions. Fall and spring are generally quite pleasant. Spanish for “Mountain of Health”, Monte Sano State Park was once the site of an inn that touted cures for ailments in its spring waters. The inn is long gone, but for those who thirst for the outdoors, its cures remain, and the rewards are plentiful in the 2,140 acre park. 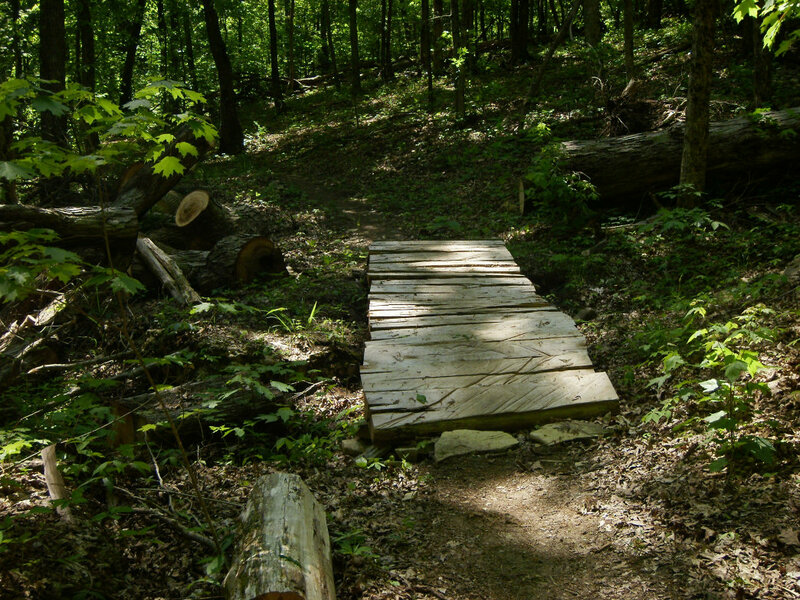 The crown jewel of hiking in the Huntsville metro area, the park features 22 miles of trail offering a variety of loops and technical courses for both beginning mountain bikers and expert alike. It's worth a stop at the park office to pick up a tear off trail map,which are also posted at several different kiosks throughout the park. Start off your day on the plateau loops with some easy riding around the perimeter of the ridge on Monte Sano Mountain. If you're up for it, the Fire Tower and Bog Trails offer great connectors to add distance. Or, take on the Family Bike Loop for easy fun on a winding trail through thick forest. On the edge of the park boundaries, park at the curve on Bankhead Parkway for a speedy climb up a closed section of the road before hopping off on the Mountain Mist Trail, undulating terrain on tight single track. You'll not want to miss the Stone Cuts to get a look at some cool rocks formations and add some technical difficulty to your ride. Or, if it's distance you're after, cut off on the Logan Point / Keith trail system. The truly adventurous will enjoy McKay Hollow, a “hike-a-bike” in spots, and an endurance tester whether you take the trail for the entire route, or spur off on the Natural Well trail for some switchback action. 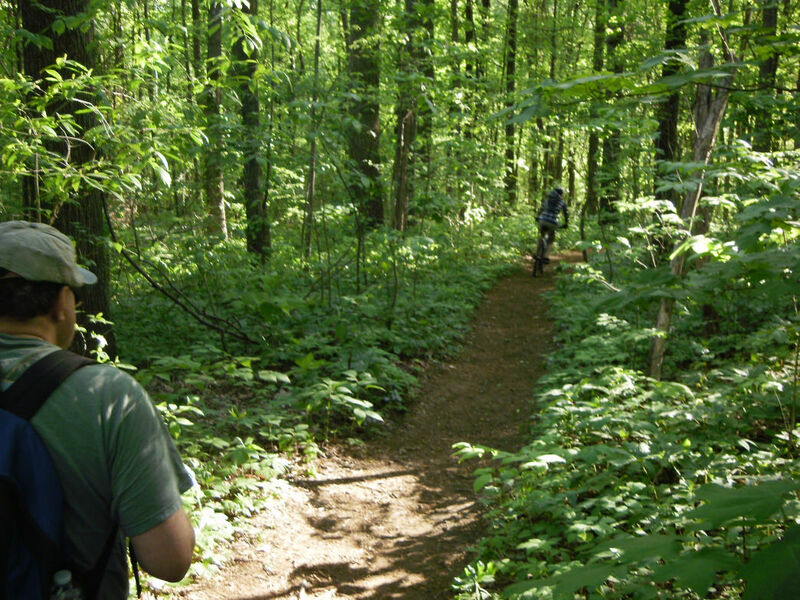 Take the Arrowhead Trail on to the trailhead near the Burritt Museum for a great long distance point to point ride. 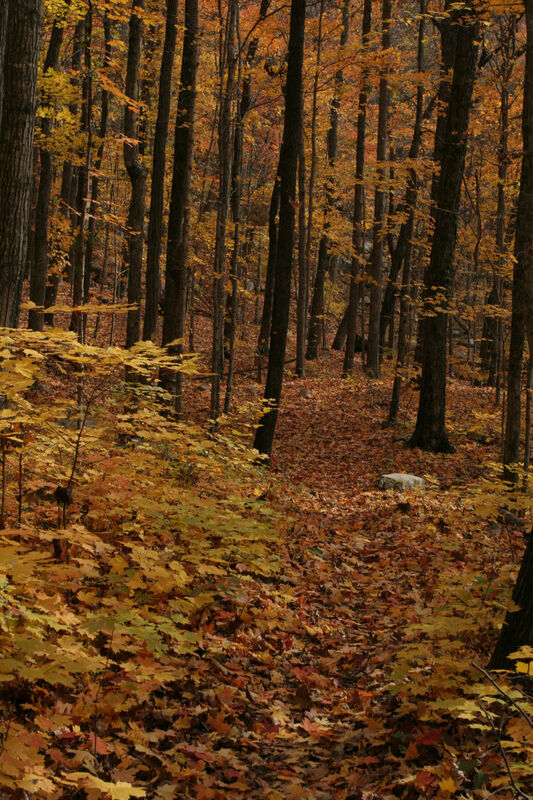 Families and beginners will enjoy the Fire Tower trail, a gentle foray on an easy level old road bed. Novices will enjoy the slightly more technical Family Bike Loop with its twists and turns while experts can take on sometimes challenging obstacles on some of the tougher courses.